In exactly one week, I invite you to attend one of my 4 sessions at Tech Ed Europe in Barcelona. There are many C# and VB developers that have never used NETCF. In this session, we introduce NETCF v2.0, highlighting differences from the previous version. This talk explores the development platform differences between the Windows desktop environment and Windows Mobile-based devices such as the Pocket PC and smartphone. We also examine the options for sharing .NET assets between platforms, and demo suggestions for making the best development decisions. By the end of the show you will be inspired to write your first NETCF application that leverages existing code. Attendees require no previous knowledge of mobility devices or NETCF - simply an understanding of .NET on the desktop. When we talk about the NetFx3 technologies, there are always one or two attendees (not the same ones each time!) that ask if any of the technologies are applicable to mobile devices. There are no plans for WF and no immediate plans for WPF (often confused with WPF/e which is actually quite a different technology with an unfortunate name IMO). 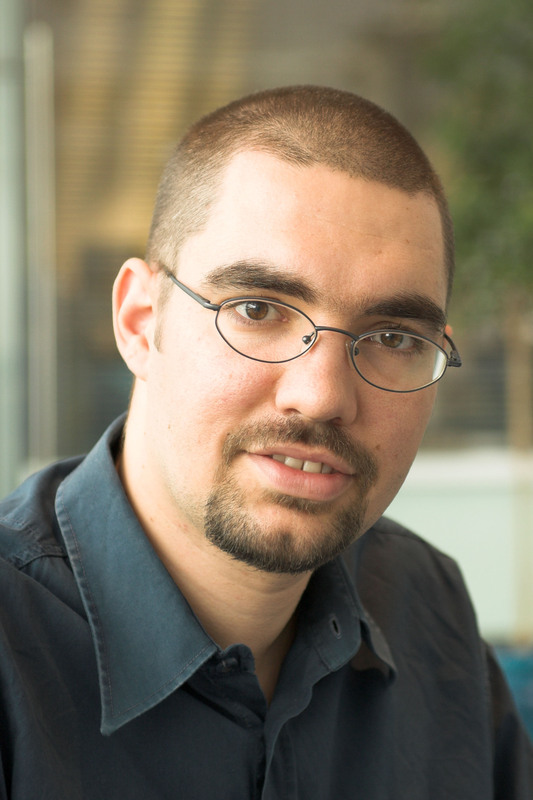 [...] We'll expose all necessary extensibility points so people could plug in their own transport and layered channels, while maintaining a unified programming model. [...] The channels we plan to deliver out of the box are Http and... yes, e-mail (for WCF on desktop and device)." Go read the full story! PS For any work related queries, try one of my colleagues. The other day at one my talks somebody asked me if the new Vista native APIs I show callable from managed code are also callable from VB6. I hadn't thought about that before, but in principle, yes, they should be. He was specifically interested in glass (glass, as in what I talked about here, here, here, here, here and here.). Note that just like with Windows Forms (but unlike WPF), actually making controls look good on the glass surface is not trivial (unless you enjoy painting everything yourself!). You get a glimpse of the challenge here and a full blown project here. It is amazing how as end users we all take for granted that before we install something we need to save our application state, manually close everything, install the new thing, manually restart every app we were using (if we remember what they were) and try to get to the state we were before! How many times have you installed an application (or completed a Windows Update or some other patch) and then had to restart your machine? How irritating is that? 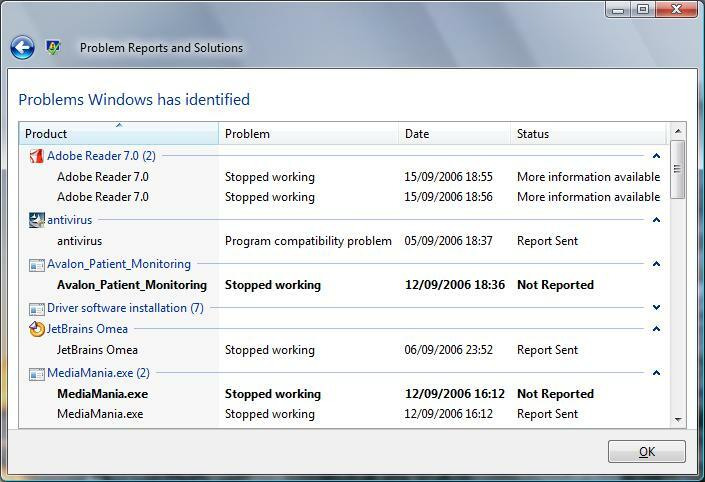 Restart Manager promises to make that experience a thing of the past. Personally, I'd like to live with Vista for a bit longer before I subscribe to that promise but I have to admit initial experiences are promising! So what does Restart Manager (RM) do? If the update involves a critical system component so a windows reboot is unavoidable, a reboot will take place but after reboot the RM-aware applications will also restart! 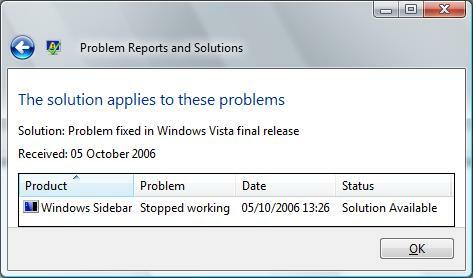 Now that Vista offers this technology, reaching this seemingly imaginary world is down to us, application developers. And since you are reading this blog... managed developers! So what is it we need to do? To achieve the first action we can simply use (directly or indirectly via commercial package) Windows Installer v4 and you are pretty much done!! If you have chosen an alternative deployment technology then ditch it and switch! No I am only joking, if you do wish to use something else, then you must manually work with the API which resides in rstrtmgr.dll. A typical series of calls is to create a session (RmStartSession), then register the resources we created (RmRegisterResources), then shutdown the resources/processes (RmShutdown), later on restart them (RmRestart) and finally end the session (RmEndSession). I may post a full C# sample in a future blog entry. The first of these actions is identical to what we talked about before for unexpected crashes/hangs. Now you see that there is a dual benefit to calling RegisterApplicationRestart as I’ve already mentioned in this article. If you want to find out more about Windows Installer 4.0 working with Restart Manager then there is this video on channel9 (watch the first 3’ and then watch another 4’ starting at 15’). There is public/external mention of Restart Manager over at eWeek. For the developer types, lookout for a nugget coming real soon! While most people think they know all there is to know about Sidebar and Sidebar gadgets, I strongly recommend you read my blog entry that details the feature: Sidebar Gadgets. The best way of course is to actually try out all the system gadgets that give you a glimpse of what is possible. Only then you'll have acquired an appetite to go build your own! First step to creating our own gadget is to know what a gadget looks like on the file system. Easy one that... it is just a folder! A folder with a .gadget extension placed in one of two places: the system folder or the user folder (more on both follows). 1. 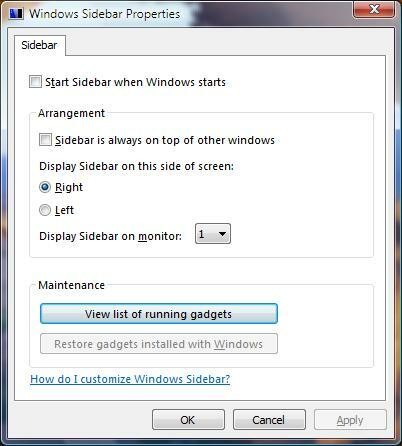 Navigate to the following path on your machine (copy it and paste it on your explorer window): "%userprofile%\appdata\local\microsoft\windows sidebar\gadgets". 2. Create a folder named "moth.gadget". 3. In that folder, place this gadget.xml file. 4. Drop in the same folder this daniel.html file (right click and save it, don't worry about what is inside it for now). 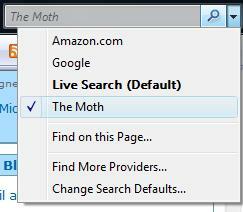 Go to the gadget picker and you see your gadget (“Moth Gadget”)! So all we have to do to get our gadget in the gadget picker is use a manifest which is always named gadget.xml. Now go ahead and open the XML file in your favourite editor (~20 lines) and check out the element names. It should be obvious what each one describes (name, version, author, description, icon etc) and also obvious what you need to change for your own gadgets. Spot the correlation of values between the XML file and the text that appears in the gadget picker. Looking at the gadget.xml contents, notice under the base element (under the host element, under the hosts element) the attribute "src"? That points to where the actual content of your gadget is in terms of how it renders itself when added to the Sidebar (and that is why we added the html file). 5. Drop in the same folder an image with a name of “daniel.PNG” (I have one here if you are desperate for images). Now in the gadget picker we can also see our own icon for the gadget (rather than the default). 6. Now add the gadget to your Sidebar. If everything went to plan, you can see on a plain white background some text. This text is the machine name of the computer you are running on. 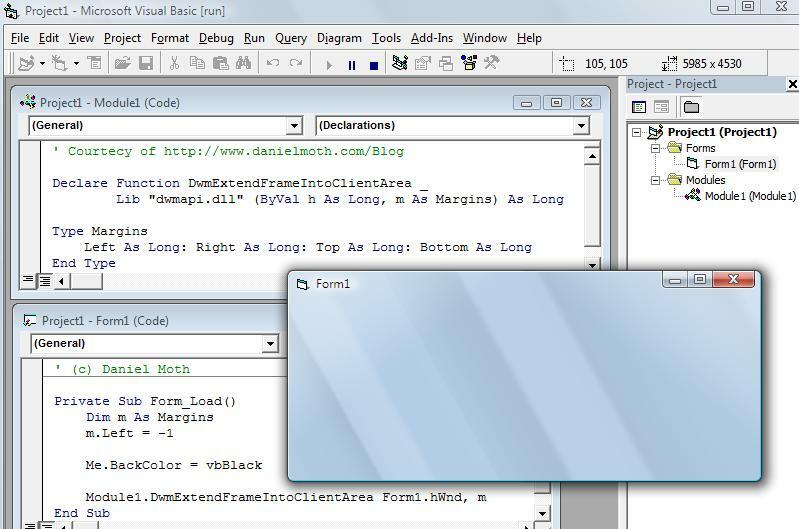 Open the html file in your favourite editor and observe its contents (~25 lines). It has 3 sections: script (the guts of all Sidebar gadgets is script), head (for styling) and body (for context). It should be fairly obvious to web developers what it does: In the script section we setup the 'machName' span to the return value of a gadget API (System.Environment.machineName). In the body we simply render the machName. "Not running in Sidebar!" is what you see if you open the html file outside of Sidebar of course. So to summarise, gadgets are basically DHTML. A combination of html+script+css+images and you've got it (preferably PNG files so you can play with some transparency). Of course, you should also take advantage of the Sidebar gadget API to create powerful gadgets. Q1. (tone of disbelief) How powerful can I possibly make a gadget when I am only using DHTML? Q2. Where can I find more about the Gadget API? A2. On msdn of course. The gadget API page appears empty, but you can navigate to the topics below it from the treeview on the left. Q3. Is there a tutorial more comprehensive that what you just showed? A3. My sample above demonstrates how easy it is with essentially two files to hook into the gadget plumbing. The best samples are the ones on your Vista machine as per Q1 above. However, you can find two additional more comprehensive walkthroughs: One on msdn and one on technet. Enjoy! Q4. No offense to web people and script fans, but can I not write these in binary code? A4. Of course you can use ActiveX. You may lose the simplicity of deployments but you gain all the richness of ActiveX technology. Follow the link for more on gadgets with activex. Q5. 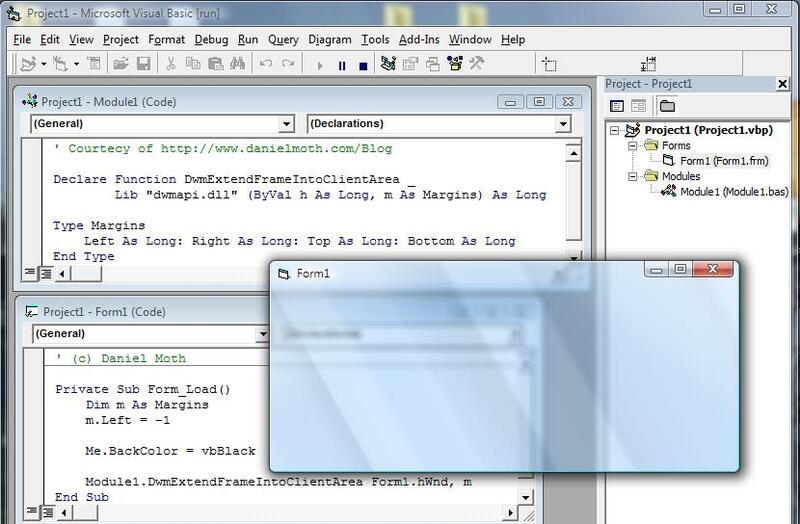 How about .NET code and in particular WPF? A5. While originally this was the plan, regrettably the feature had to be cut (and will hopefully re-appear in a future version). There are a few samples of using WPF with gadgets but they are more a proof of concept rather than an attractive (or a supported) scenario. One such example (via an XBAP) is here. Q6. Any other gadget resources? A6. If you consume the links above (and from my previous post on Sidebar), as a side effect you'll discover other resources :) There is an example of using Atlas to call web services (very popular scenario) from gadgets here. After talking about gadgets in general, let's focus on Sidebar gadgets specifically. Sidebar gadgets are hosted, managed, installed, picked in Sidebar. Sidebar without gadgets is useless and gadgets without Sidebar are non-existent. 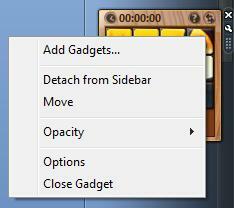 Sidebar contains gadgets (gadgets can also be dragged onto the desktop area). Multiple instances of the same gadget can appear on the Sidebar. Sidebar is a Vista feature and it is basically a pane on the side of the screen (whichever side you want on whatever monitor you want). It is an executable (sidebar.exe) and also has a systray icon. You can "close" the Sidebar in which case it is still running and is minimized to the systray or you can "Exit" the Sidebar in which case it is gone for real (along with any gadgets you dragged onto the desktop). Clicking on "Properties" produces the following dialog. You can add a gadget to the Sidebar from the gadget picker by double clicking, right clicking and selecting "Add" or finally by simply dragging and dropping. To remove the gadget from your system, right click on it in the gadget picker and select "Uninstall". As the screenshot above shows there are 11 gadgets shipping out of the box. These are the system gadgets and the user can install additional gadgets. I encourage you to familiarise yourself with these OOB gadgets as collectively they show some of the cool thing gadgets can do. Before we close the description of this feature, it is important to understand that the security aspects have been thoroughly thought of and you can read about some of them here. If you didn't know about it, then yes it is true. Our marketeers have managed to name 3 slightly different things with the same name. I can sort of see where they are coming from, since in all 3 cases we are talking about task specifics mini-applets that are not quite full blown applications but are also not web pages so “gadgets” seemed appropriate for each category. The compatibility between these is not there *yet*. Each has its own API that the other two hosts will not understand. SideShow gadgets are probably more removed from the other two. Live gadgets can be made under certain circumstances to run in Sidebar (via an iframe) but the vice versa story is not as good. I am being vague on the compatibility as I know it will get better in the future and the current story is ever changing. But here I am talking about (in)compatibility when I haven’t introduced each one of them! * Being a client guy myself, I will not ever mention live gadgets here again (famous last words). To find out more about them visit these pages: 1 , 2 , 3 , 4. * SideShow is a platform that attracts me hugely but I will refrain from talking about those gadgets until after Tech Ed Europe, in November (I am hoping to own hardware then and, if not, I'll just have to use the emulator - either way, stay tuned!). 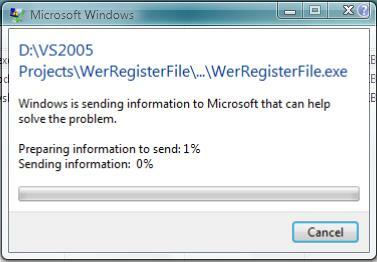 You know how sometimes an application crashes and then you hit that "send" button in the dialog that pops up? Well guess where it sends those reports (which can include your own diagnostics!). That isn't just "a server that Microsoft uses to diagnose potential system issues". It is a server with data about *your* application, waiting for *you* to examine that data. Simply go register for free on winqual. "I am off to http://winqual.microsoft.com/"
I really hope you guys were not waiting for me to point you to a (fairly) new blog on Vista. This is the authoritative blog of the Shell team that is growing in readership like no other blog ever has. Go read everything they’ve written to date as every single post is a gem, e.g. the one about minesweeper or the one about the menus or best of all the one with the treat at the end. Remember that rss download feed I was telling you about? It just "dropped me a line" to say that all the MEDC content is available for anyone to download! Go get the MEDC 2006 conference DVD! I have explained before what you (a managed developer) has to do about User Account Control in Vista (and also expanded a bit on UAC policies). When an administrator logs on to a computer ... the system ... creates ... two different tokens representing the same logon session. The first token grants all the permissions and privileges afforded to the administrator while the second token is a restricted token ... offering far fewer permissions and privileges. ... The system then creates the shell application using the restricted token. Follow this link for the full unedited story. I promised I’d let you know when WMDC for RC1 was out. Also given that most people searching for an ActiveSync replacement or for Windows Mobile Device Centre land on my blog, it is only fair that I let you have some links! How did I know? I got notified via the download center RSS feed (don’t tell me you are not subscribed to that?!) about the download page. 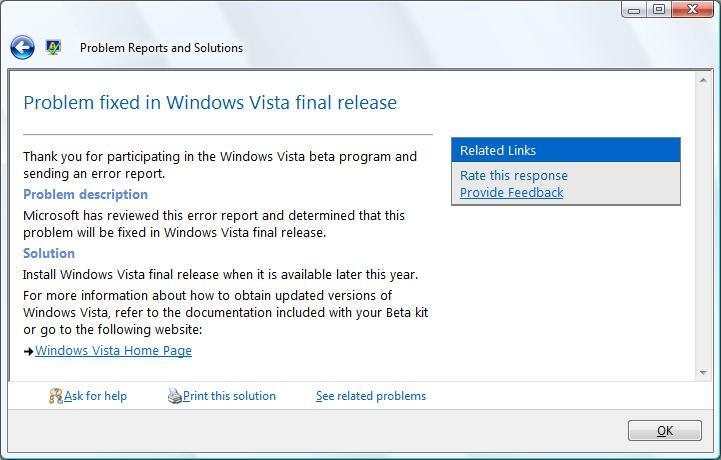 When I click on the "Problem fixed in Windows Vista final release" link, it take me to another page that looks like this (screenshot). If I then double-click on the item in the listview it takes me to the bucket/info that was sent up to winqual and thus it closes the loop (screenshot). Silent ones are the worst! When I was trying to call the WerRegisterFile API as described previously, I run into an interesting situation: Calling the API without specifying any CharSet should have attempted first the WerRegisterFile. If I specify CharSet.Auto, it should first attempt WerRegisterFileW and if it cannot find that then go back to try WerRegisterFile. Either way, you would have thought that this would succeed or blow. As it turns out, leaving the CharSet off, silently fails (no exception, return value is 0, Marshal.GetLastWin32Error is 0 etc) but specifying CharSet.Auto works as expected! For the record, CharSet.Unicode behaves like CharSet.Auto and CharSet.Ansi fails like when we omit altogether CharSet from the DllImport declaration. Download a repro VS2005 project here (obviously requires Vista). Looking at kernel32.dll (which exports this function) shows that there is only one entry for the API (screenshot of dumpbin). This seems to be a pattern with Vista, according to my colleague MikeT. 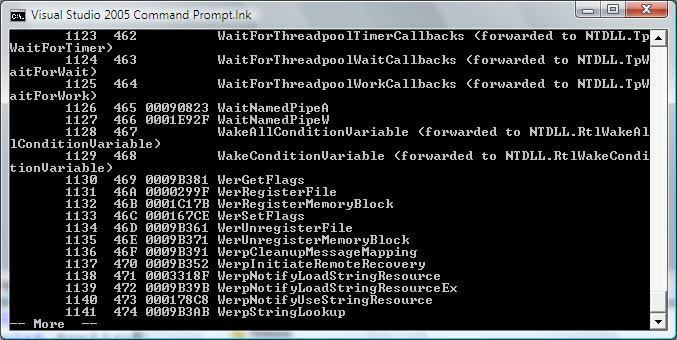 So to prove the thought, I looked at another Vista API that takes strings: RegisterApplicationRestart. It too has no trailing A or W (screenshot). So calling this API without CharSet also gives no errors, but the string you get passed back to the application at the command line is definitely not the one I passed to it (something Chinese-looking on my system when I gave it something English). That rests the case. I should have realised earlier that CharSet is not just about finding the correct entry point but also about how the string will be marshalled. 1. Whoever thought the default of CharSet should be Ansi has a lot to answer for. Note that it is a C# decision as the CLR defaults to Auto! 3. Why is WerRegiserFile in kernel32.dll when all the other WER APIs are in wer.dll?! 4. 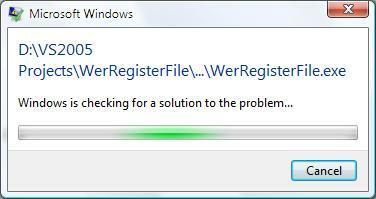 WerRegisterFile should be giving some indication to the developer that it failed. At the end of the day, you give it a path (string), it thinks it is a different string (path), so it cannot find the file and then it silently fails! WTF? 5. I detest silent failures. Make an explosion next time. A big loud one or a quiet one, but not a silent one. Silent ones are the worst! Eric Wroolie wrote (what I think is) a nice review of my event from a couple of days ago and has some interesting thoughts on attending webcasts versus attending live events. I strongly encourage you to go read and share your own thoughts there. We all know that to call unmanaged code from managed code you have to pinvoke (i.e. use the DllImport attribute). One of the enumerations that becomes relevant when calling native methods that accept strings is CharSet. It is also relevant for native structures with strings but I am explicitly ignoring that in this post. I am also ignoring the CharSet.None enumeration as it means the same as CharSet.Ansi and is there for C++ legacy reasons, I think. CharSet is useful so you can instruct the runtime to invoke the "A" version of an API or the "W" version (Ansi or Unicode) e.g. MessageBoxA or MessageBoxW. If you select CharSet.Ansi the CLR attempts to invoke an entry point with an appended "A" if the entry point specified by the signature doesn't exist. If you select Auto, then on modern OSs it will default to Unicode. This means the CLR will attempt to invoke an entry point with an appended "W" before attempting to invoke the entry point specified by the signature. If you miss the CharSet from your DllImport declaration, the default is Ansi with the behaviour described above. In my Vista sessions I focus on accessing native APIs form managed code. A few times now people ask me if there is an API browser of some sort... you know, like the API Text Viewer from the VB6 times... I found this replacement on the web but haven’t personally tried it. Frankly, I don’t know of a Microsoft one so if there is a replacement hiding somewhere and you know about it please share a pointer! If you read my older entry then you’ll know where to go to get the interop book. 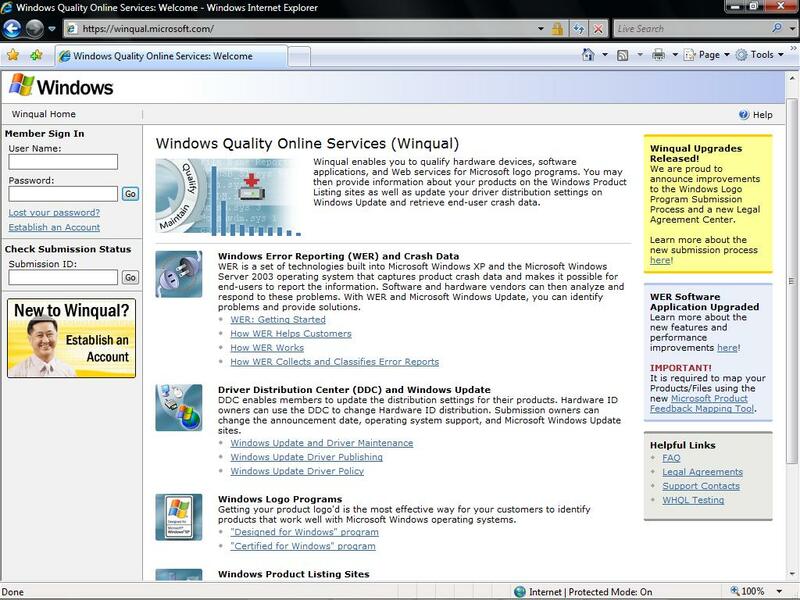 There is also a Visual Studio 2005 add-in for the pinvoke wiki site, but I haven’t personally tried it. Get it from gotdotnet. I plan to update the wiki with Vista API definitions at some point (the power API I mentioned previously is already there). I’ve added this to my TODO list (item # 88345602), but if you feel you’d like to take on the task, please go for it (Vista dllimports all over my blog entries since May this year)! At a talk last week, while demoing the Vista application recovery mechanism, a delegate (no pun intended!) asked me if he could access UI elements (e.g. 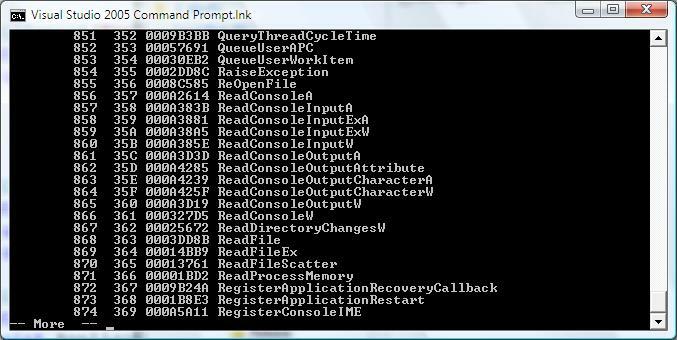 textbox contents) from the recovery function (i.e. in my sample, the RecoveryIt method). The stock answer is that in your recovery method you should not be spending too much time doing anything and should make no assumptions for any application state as you have just crashed and hence who knows what is valid and what not. Try and do something that is fairly autonomous. Having said that, from trial and error, I can tell you that you can write to files (as the sample shows), you can create threads, access private variables (and hence navigate object structures) and even the form's handle is valid. A topic I've done a lot of work on in the past and just one of the areas covered in Nick Randolph's podcast so go listen here (funny American and Aussie accents aside :-p). "...you need the equivalent of the vb6 to vb.net converter/wizard... you'd run it on a VB6 app and it would come back with 18 million lines of code that had to be changed and your application only had 500K lines of code! " 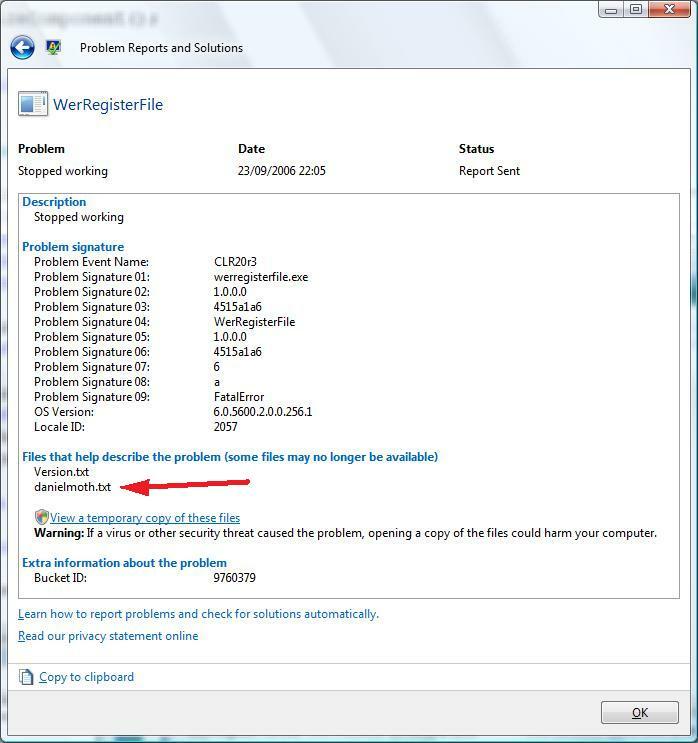 Did you know that on Vista you can add your own files to the reports of WER? Here are some steps for achieving that. 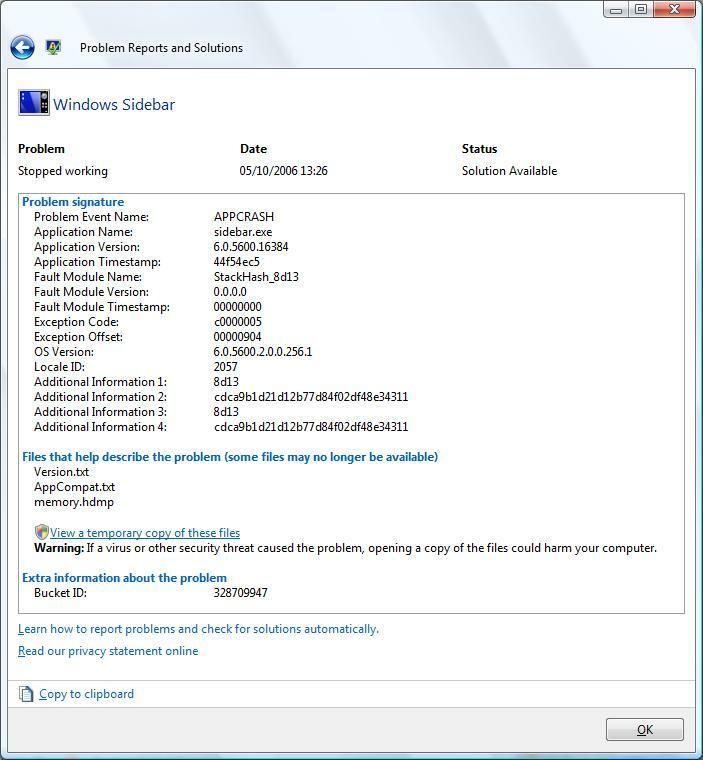 a) First windows checks if there is a solution to the problem (screenshot). 4. Go to the build directory of your solution (e.g. bin\release) and create a file named "danielmoth.txt"
Now, when you rebuild and then run the exe form the file system, you'll observe the same screenshots /behaviour as above. So how can we inspect that our own file was sent (other than visiting winqual and checking there)? Well, with 'Problem Reports and Solutions' of course! If you click on the "View a temporary copy of these files" then you get to view a copy of exactly what was sent. ii) If you replace step 1 at the top with the alternative crash I described here (steps a & b), then in the last screenshot where it reads "Problem Signature 09" instead of "FatalError" it would say "System.DivideByZeroException"
iii) In addition to crashes and hangs, you can create and submit reports for other events. Surf the relevant APIs by starting here at WerReportCreate and then examine the APIs in the ‘Remarks’ section (and if you create a cool demo with those please drop me a line!). 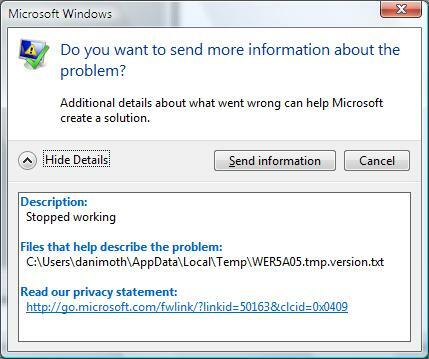 I've talked about Windows Error Reporting in Vista before, but I don't think I explained how to examine locally the reports that have been sent (or that are in a queue to be sent, since with Vista that is what happens when there is no network connection). 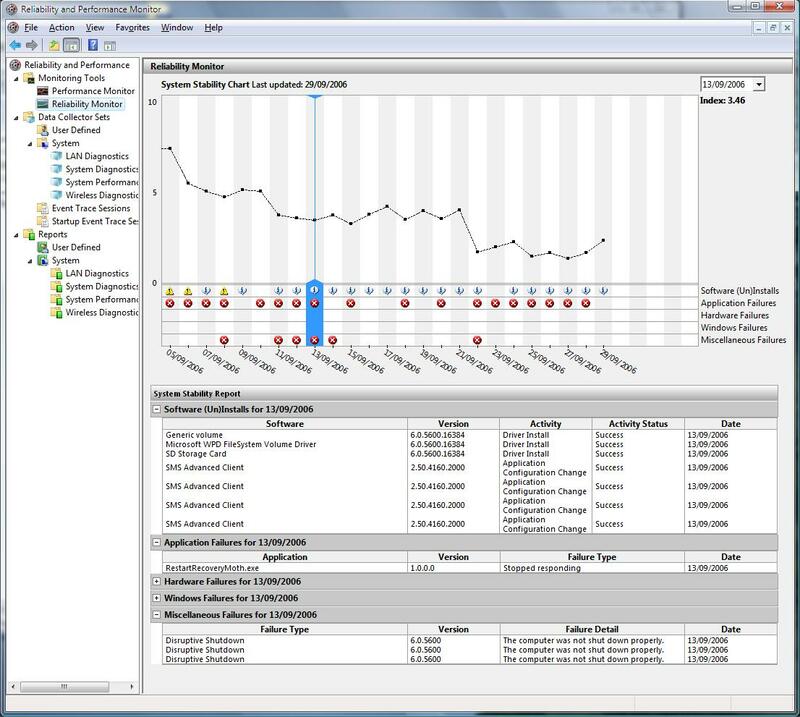 Another relevant UI worth exploring is the "Reliability Monitor"
(...from the 'System and Maintenance' click on 'Performance Information and Tools' and then click on 'Advanced Tools' from the left).